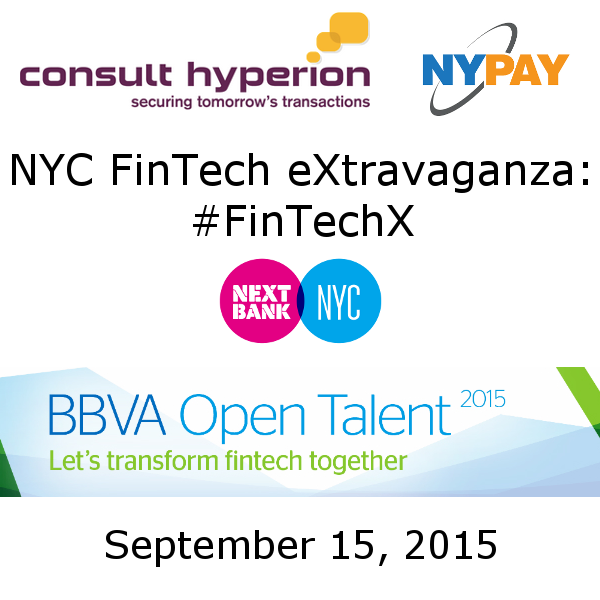 Featuring the Regional Finals of the 7th BBVA Open Talent competition and the 4th Annual NYC Tommorow’s Transactions Unconference; presented by Next Bank. NYPAY and Consult Hyperion have collaborated since 2012 to present the NYC Tomorrow’s Transactions Unconference. If you’re not familiar with the concept, a Forbes article recently called unconferences a better way to unleash creative ideas. The NYC FinTech eXtravaganza starts with The Tomorrow’s Transactions Unconference, a mix of thought-provoking leadership talks and open space discussions on topics chosen by the attendees; BBVA’s Open Talent is in its 7th year of “establish[ing] a lasting relationship with startups [to] change the world of finance; Next Bank is transforming finance through design, innovation, and entrepreneurship. With these groups joining for the September 15 event, you will not want miss this amazing day of keynotes, conversation, 20 BBVA Open Talent FinTech startup demos competing for two grand prize packages, and deep-dive discussions with innovators and change makers from inside and outside the industry. 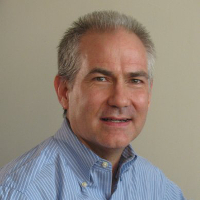 Dave Birch is Director of Innovation at Consult Hyperion, the secure electronic transactions consultancy. 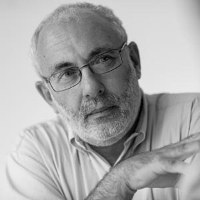 He is an internationally-recognized thought leader in digital identity and digital money; was named one of the global top 15 favorite sources of business information (Wired magazine) and one of the top ten most influential voices in banking (Financial Brand); was listed in the top ten Twitter accounts followed by innovators, along with Bill Gates and Richard Branson (PR Daily); was ranked in the top three most influential people in London’s FinTech community (City A.M.), was voted one of the European “Top 40” people in digital financial services (FinTech Awards) and was rated Europe’s most influential commentator on emerging payments (Total Payments). David True is the Managing Director of Broadly Curious Advisors, which consults on payments, loyalty and rewards, and mobile delivery channels; in addition he manages key accounts for Bank of American Merchant Services. He has over 25 years of experience in all aspects of payments and has worked in senior roles at American Express, MasterCard, and a European VC firm in addition to his roles . David writes widely on payments and mobile commerce, advises buy-side money managers on payments issues, works with multiple startups, and speaks frequently at industry events. David has a BA in English Literature and Composition from Binghamton University and an MBA from University of Chicago Booth School of Business. 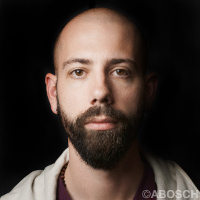 Ben Milne is the founder and CEO of Dwolla, a payments startup building the ideal way to move money, as quickly and safely as possible. Under Ben, the Des Moines-based company has raised over $32 million from investors, like Andreessen Horowitz and Union Square Ventures, and has been recognized by Fast Company as one of the world’s “50 Most Innovative Companies of 2014”. Ben has been named as one of Forbes’ “Disrupters of the Year” and has appeared on Inc. Magazine’s in its annual 30 under 30 collection, Bloomberg TV, and The TODAY Show. In 2013, he was recognized for his work by MIT Technology Review’s in its annual “Innovators Under 35” list. 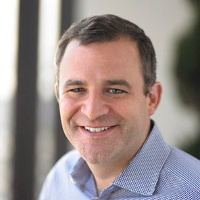 Matt Harris joined Bain Capital Ventures in 2012, to lead the NYC office and focus on business services companies, with a particular interest in financial services. At Bain Capital Ventures, Matt has led investments in companies such as Billtrust, Chrome River, IEX, Novus, OpenFin, peerTransfer and SigFig. 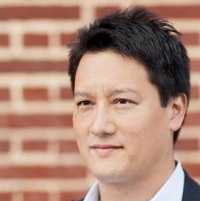 Prior to BCV, Matt co-founded and ran Village Ventures, where he focused on the same sectors and invested in such companies as BlueTarp, Consumer United, Dwolla, iSend, OnDeck Capital, Simple, TxVia and Zipmark. Earlier in his career, Matt worked at Bain Capital in the private equity group. Matt went to Williams College, graduating in 1994 with a degree in Political Economy. Matt was the Captain of the Williams College Rugby Club for his junior and senior year, which as you can imagine consumed nearly all of his spare time. 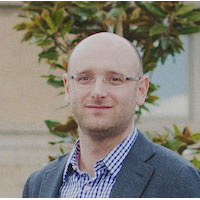 Josh Reich’s career has spanned marketing analytics and quantitative finance, including running a data mining consulting firm, a quantitative strategy group at a $10 billion fund, and core components at the mortgage lead market, Root Exchange. Four years ago, Josh founded Simple, formerly BankSimple, a company that is working to radically redesign banking by using modern technology to help people worry less about money. Josh has a BSc. in mathematics and statistics from the University of Melbourne, most of a medical degree, and an MBA from Carnegie Mellon University. Jay Reinemann is the Head of BBVA Ventures, the strategic venture arm for BBVA S.A., a global retail financial group founded in 1857 with over 50 million customers in 33 countries. Some of BBVA’s investments include: Coinbase, Radius, SumUp, 500 Startups, Ribbit Capital and Prosper. Prior to BBVA, he led Visa Inc’s venture program focused on delivering strategic and financial to the world’s largest payments company through investments and global partnerships with emerging technology companies. Mr. Reinemann was also an executive at Andersen Consulting, Old Kent Bank and Trust (Fifth Third Bank) and social commerce startup Ticket Truck (Sohalo).